The plates of brass contained a copy of the Law (five books of Moses), a history of the Jews, Lehi's genealogy, and the writings of many prophets. Some of these records were comparable to certain books now found in the Old Testament, but others did not find their way into the Bible. 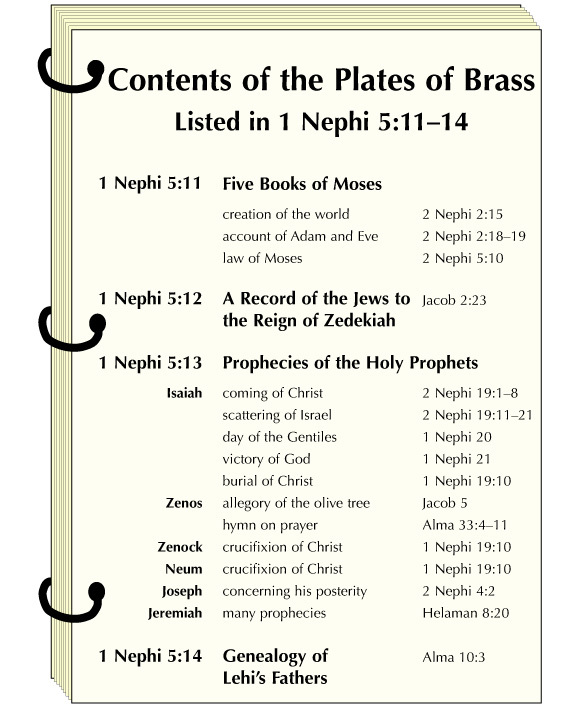 Nephi's summary of these contents, found in 1 Nephi 5:11–14, is graphically displayed here, along with sample references illustrating the profound influence of these records elsewhere in the Book of Mormon.